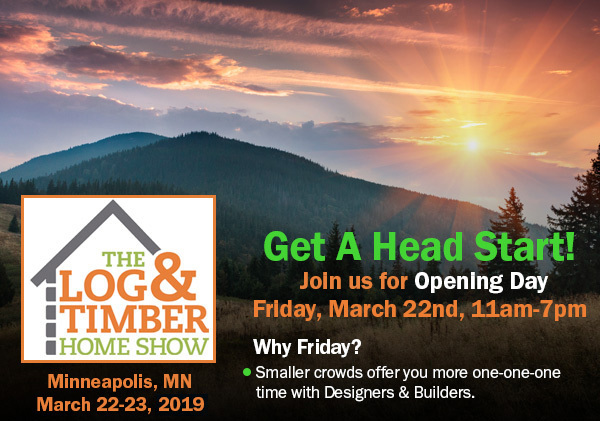 The Log & Timber Home Show comes to Minneapolis, MN, March 22-23, 2019, at the Earle Brown Heritage Center. Talk to industry experts and gather ideas to finally build your dream home. 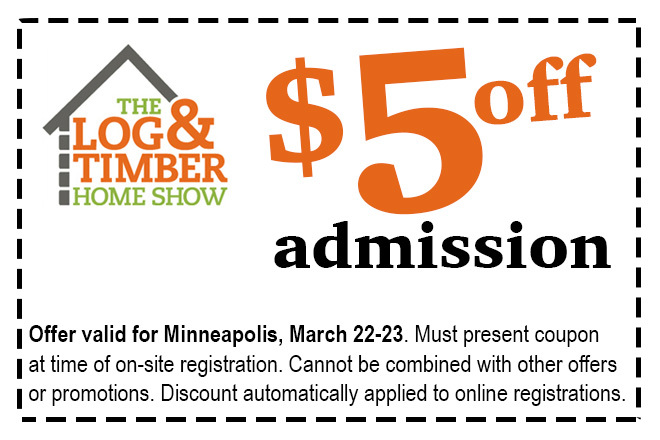 All this and more is available to you when you attend the Log & Timber Home Show in Minneapolis, MN. 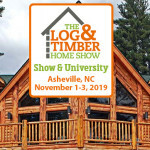 Want to learn the ABC’s of Buying a Log & Timber Home from someone who has been involved in every part of the business? Then be sure to attend Zach Parmeter’s daily FREE Workshops! 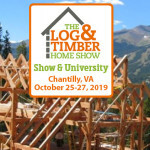 With experience in material estimation, purchasing, production, and more, Zach can expertly cover the topics of Selecting, Buying, & Building a Log or Timber Home. 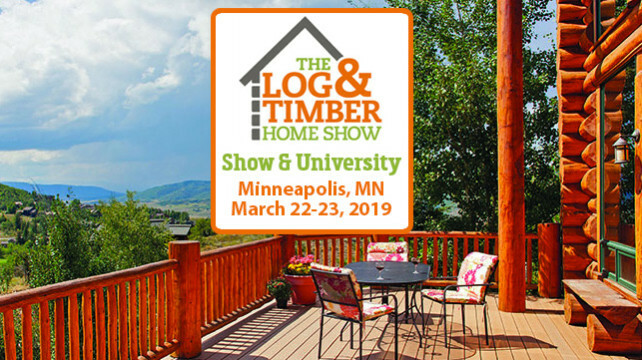 With knowledge to share on Package Contents, Blueprints, & even Financing, Zach’s workshop is a must do at the Minneapolis Log & Timber Home Show. 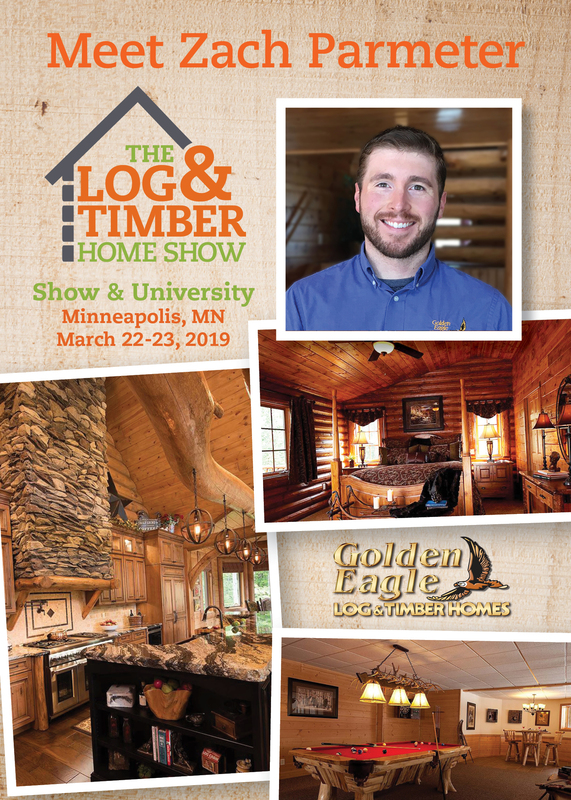 Click here to find out more about Zach & Golden Eagle Log & Timber Homes, Inc.
Book with the following information by March 1, 2019 to receive the Special Room Rate of $130 USD per night. 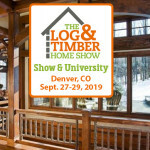 Lakeland Log & Timber Frame Homes, Inc.
Ryan's Rustic Railings & Furniture, Inc. Your Crafts & Collectibles Source!